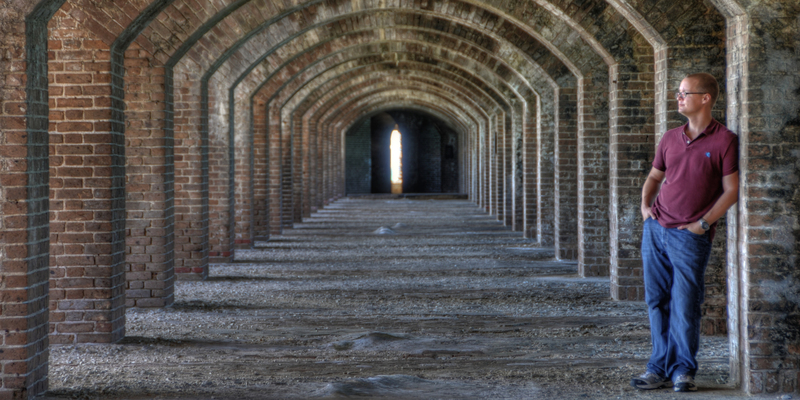 Dry Tortugas is my second favorite National Park that I’ve visited so far. I am typically not a fan of beach/tropical vacations, but this park has a great mix of natural and American history weaved together. In addition to the Caribbean island feel, there is a massive brick structure that at various times has served as a fort and a prison. The best thing about the Tortugas to me was, on my second trip where I stayed on the island, the seclusion of it all. You are 70 miles from the nearest town. I was really hoping to get some photos of the stars, but that didn’t work out due to the weather. I have now visited the island twice. My first trip was in 2012, when I took a day-trip out to the park as part of a larger trip to see the National Parks of southern Florida. If you go to the park on the ferry ($165), you get about 5 hours on the islands. After that trip, I resolved to go back and spend more time exploring. In 2014, I went on a 3-day/2-night camping trip. The weather wasn’t ideal for the trip, but I did have plenty of time to walk around the fort, take photos, and go on several of the tours offered by the concessionaire and the park service. Your world in the park exists within this small patch of land, about 1/2 a mile in circumference. When I first went there were signs up that kept me from going onto Bush Key (on the right of the map) to protect birds that nest there. When I went for the second time in late November, the beaches on Bush Key were open to foot traffic because it was the off-season for nesting birds. You can snorkel on the reefs that surround the park; there are beaches next to the North and South Coaling docks. I found the fort and walkway surrounding it plenty to occupy the 5 hours I spent there. Relative to the big parks like Yellowstone and the Grand Canyon that get hundreds of thousands of visitors per month at peak, Dry Tortugas gets a much more modest 2 – 5,000. This is due, in part, to how difficult it is to access. You’ll need a boat or a plane ride. The regular, park-approved contractor ferry can hold about 150 people at a time, so it’s good to schedule a ride well in advance. That is especially true if you’re interested in camping. I went in November both times…the first time the ferry seemed full, but once we got to the island I had no trouble finding places away from people. The second time there were 7’-9’ waves and high winds so there were a lot fewer people. During my day trip to the Dry Tortugas, the weather was beautiful. I went in mid-November and managed to catch a dry patch. That made for some less-than-interesting skies in my photos, but the temperature was in the mid-to-upper seventies. Because the temperature was perfect, I planned my second trip for November as well. During my several days there, the temperature ranged from 65-80. The unfortunate thing was that the sky was gloomy nearly the entire time and the sustained winds were between 25 & 35 miles per hour. This made for some less than interesting photos and for a choppy boat ride. First Trip (Day Trip): I flew into Miami and rented a car. 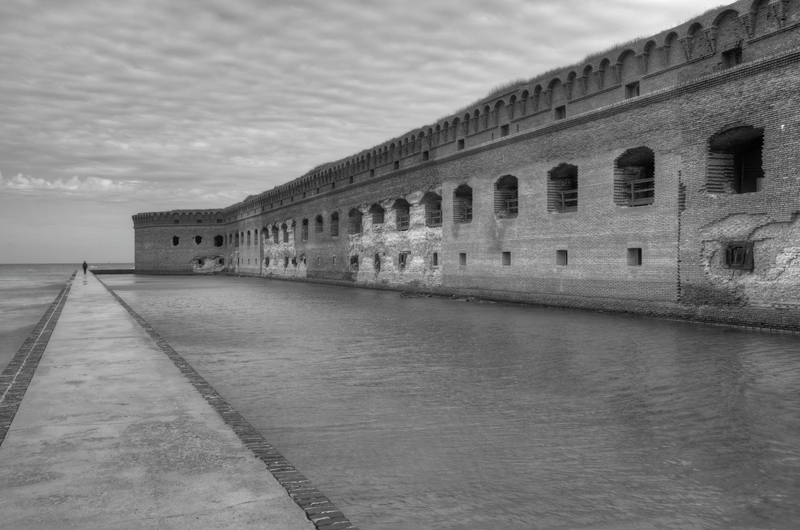 Dry Tortugas was one stop of many on this trip. Check-in for the ferry is at 7 a.m. and you get back to Key West around 5:30 p.m. so I ended up getting a hotel room the night before and after the trip. On the morning of the trip, I parked the rental car in a garage near the ferry terminal. There are several garages that offer day parking for around $10-$15. I used the NPS approved (at least they mention it on their website) ferry, the Yankee Freedom III to get out to the island. For the price ($170 now) you get the ride out and back, admission to the park, breakfast and lunch, and a postcard. If you have some money to blow and don’t have a day to spend on seeing the park, you can take a sea plane ride. Second Trip (Camping Trip): During my most recent trip, my focus was on going to the Tortugas for camping so I flew directly into Key West on the day before I planned to head out. I relied on taxis to get around. A ride from the airport to the main touristy area is less than $20. I stayed at a hotel near the ferry terminal so I could walk over in the morning. For campers, check-in is at 6:30 a.m. I arrived in Key West early enough to buy the groceries I wanted to take with me out to the park. The ferry costs $190 for campers. This fee includes the trip out and back, admission to the park, and a breakfast and one lunch. You still have to pay $3/night/person once you get to the park. There are 10 campsites, an overflow area, and a group camping area. The 10 designated spots are nice. My first night, four of the 10 campsites were filled and on my second night only three of them were filled. On the day I left (a Friday), quite a few more campers came out on the ferry and it looked like most of the campsites filled up. Each of the designated sites has a picnic table, a grill, and a post for keeping your groceries off of the ground (apparently rats and crabs will get into your food if you leave it out). There are composting toilets available and that’s pretty much it. There are no outlets at the campsite (though if you really need some there are some at the boat house). On the day you leave, you need to have your campsite packed up by the time the boat arrives; around 10:30 a.m. I normally break this section down by day and walk through what I did in chronological order. But I’m writing this up years after the trip and I also bounced around from place to place so I don’t remember the order I did things. So I will just run through each of the things that I thought were worth photographing. 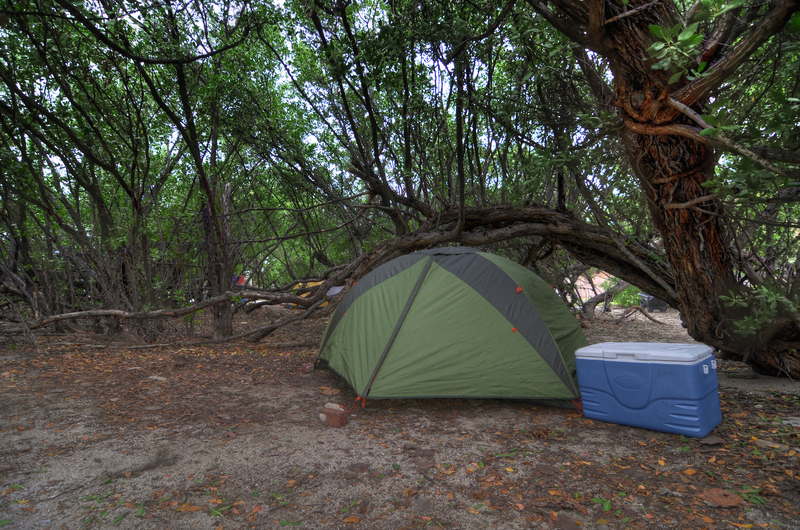 When I first went to Dry Tortugas National Park, I vowed to go back and camp. Now that I’ve done that, I would say my only regret is not having had better weather, though there isn’t much I can do about that. At some point, I will likely to back with the hopes of getting dealt a better hand in terms of weather. I did not get to snorkel as I would have liked and I did not get the star photos I had hoped for. On many of my trips, there is a shot that I just can’t wait to get; the one that I daydream about. I didn’t really have that for the Dry Tortugas. 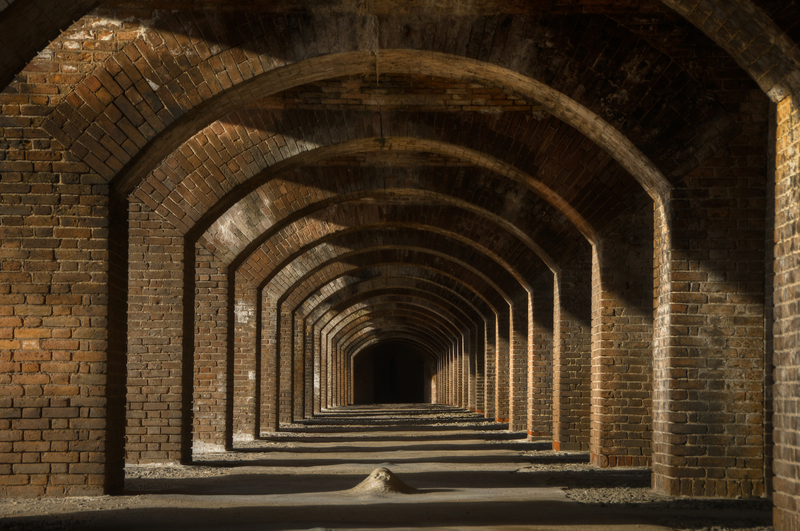 The archways were certainly a highlight, but nothing that I was excited about before going. I did walk away with a photo that I thought was far-and-away my best from the trip…one of my favorites I’ve ever taken. This photo was taken during the short time that a seaplane had docked on the island. I took this from the walkways on the top of Fort Jefferson, near the Lighthouse. I added a tilt-shift effect in Photoshop to draw attention to the plane. This area also gives a great view of the drawbridge leading into Fort Jefferson and the dock where the Yankee Freedom III lands. 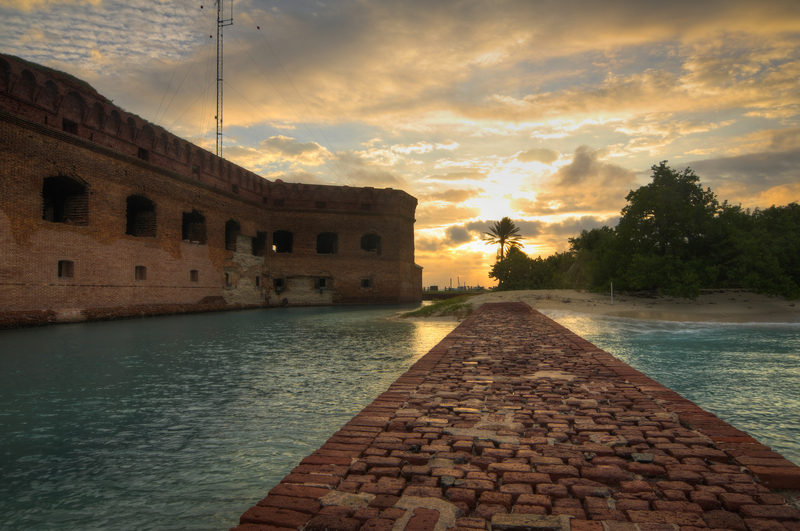 Dry Tortugas National Park on NPS.gov – You can get information straight from the people who know best. 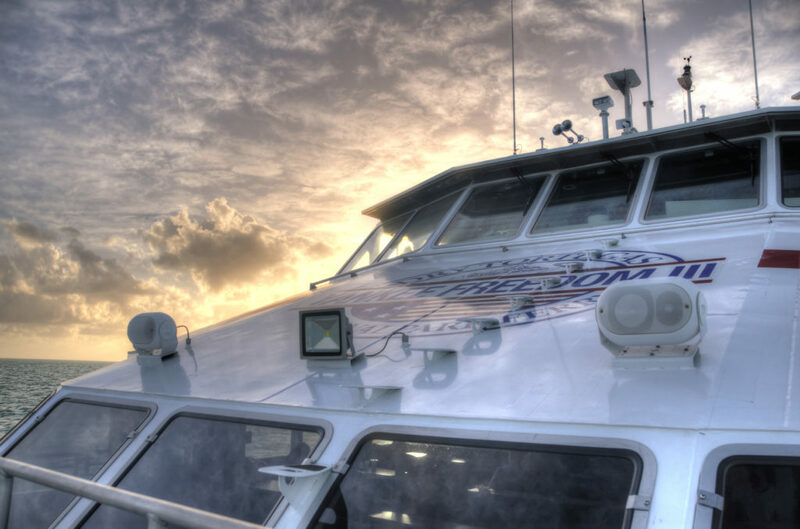 Yankee Freedom Ferry – Unless you have a ship, you’ll need some help getting to the island. I thought the trip sounded expensive, but it was well worth the money. 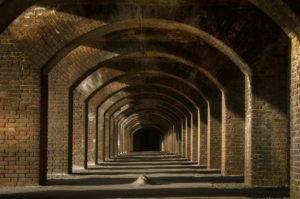 My Dry Tortugas National Park Gallery on Flickr – A collection of my photos from this trip on Flickr. My Southern Florida Pinterest Board – My collection of other people’s photography from this park.